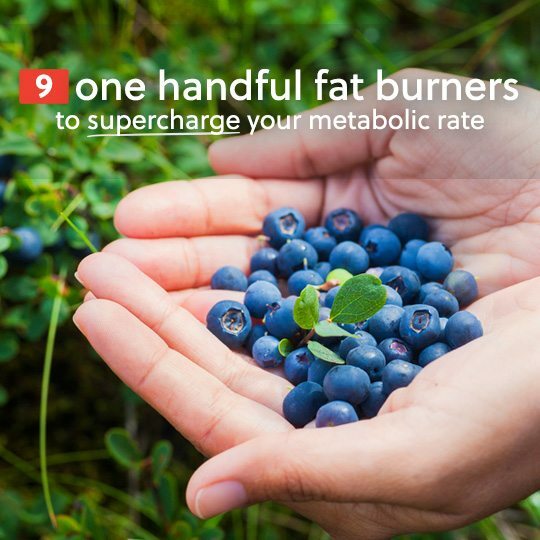 It’s so easy to grab a handful of these fat burners to rev up your metabolic rate and watch the fat come off as if by magic. Of course, there are many factors that go into whether your body is in fat-burning mode or fat-storing mode, but eating these foods regularly will help tilt the scales to your favor. Blueberries contain two elements that help your body burn fat. First, they’re full of antioxidants that will help your body battle free radicals. Second, they’re a great source of fiber, which helps your body stay clean, and your digestive system running at its full potential. A handful of blueberries can be eaten straight, or tossed into any smoothie recipe for added taste and nutrients. That’s why it’s always a great idea to add a pint of organic blueberries to your cart each time you’re at the grocery store. 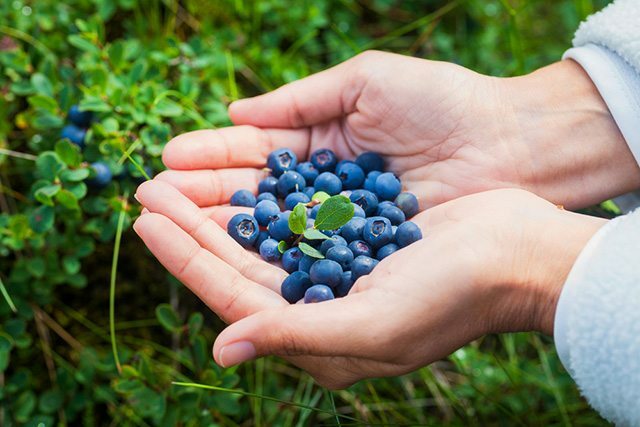 Nutritional Breakdown: Blueberries are loaded with antioxidants, but you won’t be able to find them on the Nutrition Information label, if there even is one. A 100 gram serving of blueberries will get you 16% of your Vitamin C for the day, as well as 9% of your fiber. Almonds are one of the best snacks you can eat if you’re trying to lose weight, particularly if you’re trying to lose fat. It may seem counterintuitive to eat a nut with so much fat content in an effort to burn fat, but the healthy fats they contain help the body burn fat, not store it. Of course, you don’t want to go overboard with your fat intake, and making sure that your fat is coming in a healthy form is key. Foods like almonds, avocados, eggs, and fatty fish contain the healthy fat your body needs, although some are not very easy to eat a handful of. 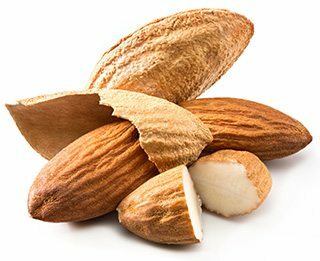 Nutritional Breakdown: Almonds clock in with 31 grams of monounsaturated fat in a 100 gram serving, and they’re 43% healthy fat when you factor in polyunsaturated fat. They also contain 12 grams of fiber in that same serving size, which translates to roughly half of your daily dietary fiber needs. All of those “Get crackin’” commercials for pistachios have brought these nuts to the mainstream consciousness, and the best part is they can actually help you lose fat. They don’t just help you lose fat in general, but specifically go to work on everyone’s least favorite fat: belly fat. 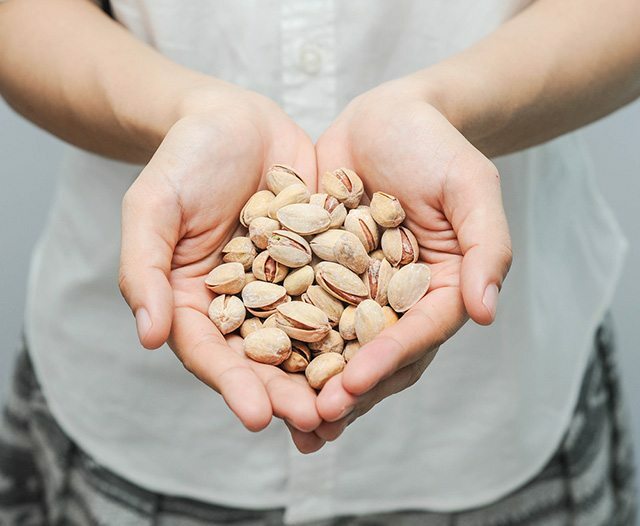 The great feature of pistachios is that they’re highly portable, able to go with you wherever you need them, as well as slowing you down a bit while you crack them. This can help keep portion sizes in control since a handful of pistachios might take a minute or two to open. Nutritional Breakdown: A 100 gram serving of pistachios posts some impressive numbers. You’re getting 40% of your protein needs, 40% of your fiber, 29% of your potassium, and 30% of your magnesium. Running a deficiency for any of these will make it harder to lose weight, and especially to lose fat. 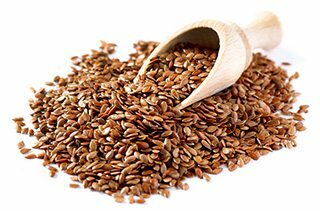 Get into the habit of sprinkling the equivalent of a handful of ground flaxseed onto the foods you eat each day. It goes great on salads, and gets lost in soups and stews. The whole time it is providing you with important nutrients like omega-3 and fiber. Keep a bag of ground flaxseed handy in your kitchen and you’ll be surprised at how easy it is to incorporate into your daily meals. Nutritional Breakdown: A 50 gram serving of flaxseed will provide over half of the fiber you need, while boosting up key minerals like iron and magnesium. The omega-3 it provides is not the same type that is found in fish like salmon, but is still beneficial to the body and can help you burn fat. Cherries are making headway into the world of fat loss and healthy eating, thanks to their unique makeup that helps the body oxidize fat. Finding cherries when they’re fresh and ripe can be a struggle, so it’s often easier to find them in dried form, and make a delicious snack from them. Whenever you dry a fruit you concentrate its properties, and in this instance dried cherries will contain more sugar than raw cherries. Don’t let that stop you from getting the good things they provide, just be mindful of serving sizes. Nutritional Breakdown: A 40 gram serving of dried cherries will provide you with 10 grams of fiber, or 40% of your daily fiber requirement. But be careful, since it also contains 18 grams of sugar. That’s why it’s best to keep your portion sizes within reason, so you get the benefits without taking on too much sugar. Chickpeas are a great source of protein and fiber, a one-two nutritional punch that helps show fat the exit. However, plain chickpeas can be a bit boring, and not something you’ll seek out when you start to get hungry. It’s easy enough to make them seem like a real treat by roasting them. Roasting chickpeas greatly enhances their flavor and gives them a crunch that they otherwise don’t have. 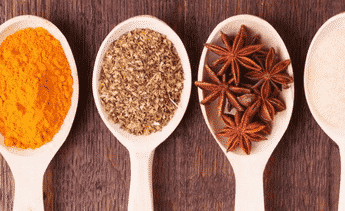 Adding some spices like garlic powder or cayenne to them will further assist with your metabolism boost. Eating a handful of roasted chickpeas will tide you over till your next meal thanks to its protein content. Nutritional Breakdown: A 100 gram serving of chickpeas provides you with nearly 70% of the fiber you need for the day. At the same time you’re getting 19 grams of protein. Most of the fat in chickpeas is healthy fat, and they also provide a host of important minerals like calcium, potassium, magnesium, and iron. Sweet potatoes are often suggested to those looking to lose fat, and there’s good reason for it. They provide fiber and antioxidants, and do a great job of keeping you satisfied and taking the role of a carbohydrate at a meal. When you’re looking for a one-handful hack, it’s best to bake up your sweet potatoes into chips. Find a recipe that uses olive oil and a bit of salt and pepper as the only other ingredients and you’ll keep things on the fat-burning side. Nutritional Breakdown: If you eat a 100 gram serving of baked sweet potato chips you’ll be getting more than enough Vitamin A for the day. This is an important antioxidant in the body, and will help it function at its best. There’s also 3 grams of fiber which contributes to your overall totals for the day. It’s so easy to reach into a bag of organic mini carrots and pull out a handful of them. It’s the sort of snack that can ease you out of panicky feelings of hunger and buy you some time to plan out your next healthy meal. Sometimes labeled “baby carrots” mini carrots are not a special type of carrot, but are simply regular carrots that have been cut, peeled, and washed so that they can be eaten right from the bag. 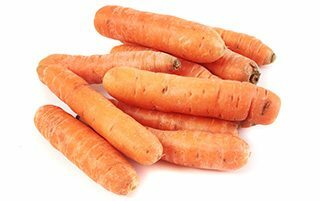 Nutritional Breakdown: Carrots are most famous for their beta-Carotene content, which converts to Vitamin A in the body. Here we’re most interested in the low caloric load that carrots present. In a 100 gram serving you’re only taking in 41 calories, which makes them a great snack to fill up on while helping to run a caloric deficit for the day. Kale has enjoyed a rise in popularity over the years, and is now readily available in most grocery stores. It should be considered as a great vegetable if you’re looking to burn fat, but might not always cross your mind as something you’d eat by the handful. Kale chips are very easy to make, and often only use added olive oil for baking. 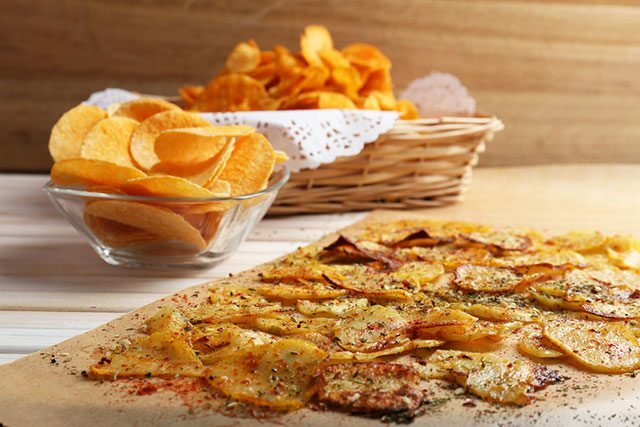 The olive oil contributes to your fat loss plan with healthy fat, and baking the chips makes them come out crispy and satisfying. Nutritional Breakdown: Kale is a nutritional powerhouse, with some of its highlights being the whopping amount of Vitamins A and C it contains. In a one cup serving you’re getting a full day’s supply of these immune system-boosting vitamins. A healthy immune system makes everything in your life easier, including fat loss. Love your articles. They have helped me a lot on my journey to getting healthier. Thank you. This is by far the best article on “weight loss” ever… Thank you so much. It Really helped me alot.